You and your "Jersey style" rants don't fool us. Intimidation is the tool of a bully, and everyone knows the truth about bullies. You think you're big and powerful? You get a rush out of threatening people? Despite your obvious efforts to be otherwise, in truth you are a little, little man. This power trip you're on? It won't last longer than last nights pudgy little hard-on. Yeah, I'm pissed. I thought about taking the high road, but you know what? I'm from Jersey too. Difference is, I don't run around threatening people. I'm not ever going to run for office. I'm not a politician. I don't pretend to be important to anyone outside my family and a small circle of friends. You, on the other hand, seem to think you're going somewhere. Get over it. You have no class, no style, no intellect, and no manners. Successful politicians will dust you from their shoulders the minute they've used up what few crumbs you offer. NJ is a wonderful state filled with all kinds of people, most of them kind, caring, and compassionate. You do the state an injustice by pretending otherwise. I'm sure you've been told by your "handlers" to drop the bully act. Problem is, it isn't an act. You, sir, are a bully. And we all know the truth about bullies. Thank you so much for saying what needed to be said! 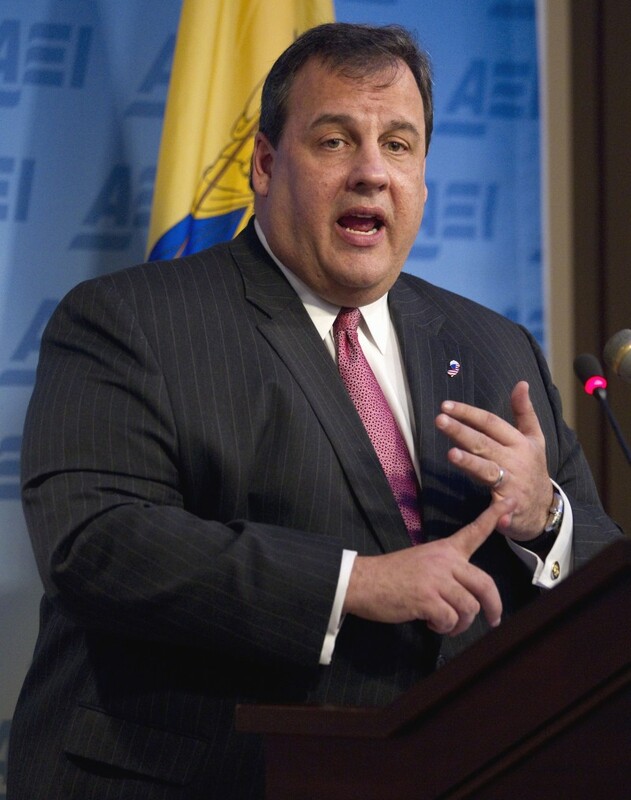 I have no idea why so many people (who don't live in NJ and are Republican, admittedly) think this guy is so great. He's a small time loser. I hope Romney does make him VP candidate - he will help lose the election for him! I think Romney might be smart enough to get rid of him asap. Otherwise, I agree! Thanks Vicki! I needed that! Share on nwnjhappenings on fb. Thanks Vicki! Much needed! And shared on nwnjhappenings on fb. Gotta love the latest excuse for his Numnuts name calling. Mom always said it. To bad president Clintons mom didn't have a secretary that gave blowjobs .he could have used that sorta reasoning too. Can you extend this to Florida's governor as well...what a bunch of losers.